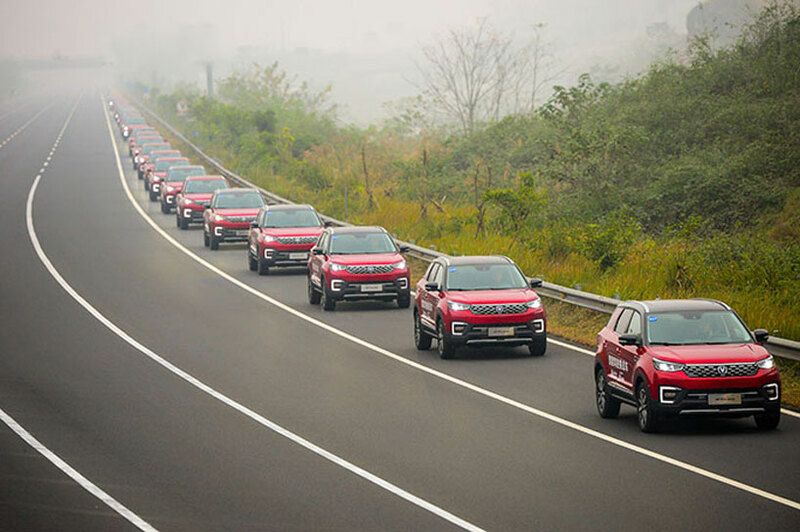 55 SUVs in chongqing, china have set the guinness world record for the largest parade of autonomous cars. each SUV traveled for 2 miles at 18.6 mph with the record taking 9 minutes and 7 seconds to complete. chinese automaker changan automobiles originally used 56 vehicles for the attempt, but one safety driver was disqualified for briefly taking back control of the vehicle. the vehicles’ sensor systems were altered to detect the boundaries of the lanes, and the positions of the cars in front of them. for the guinness world record attempt the cars drove closer together compared to normal road conditions. 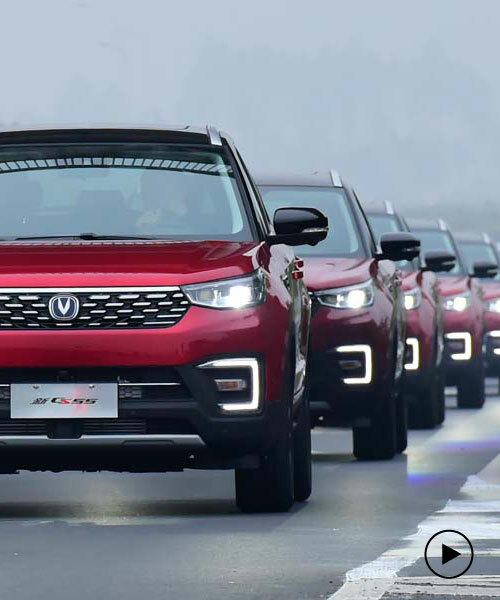 changan reduced the cars’ object and event detection and response in their dynamic driving task framework from 5% to 1% because of the controlled parade on the quieter test track having fewer variables than normal road conditions. ‘the drivers who participated in the test had no contact with the autopilot system at all, so we should also build up their confidence in our system in a short period of time to let go [of the controls],’ said yang guo, autonomous car engineer at changan automobile. ‘the artificial intelligence and new energy of automobiles is a very important trend in the future development of automobiles. 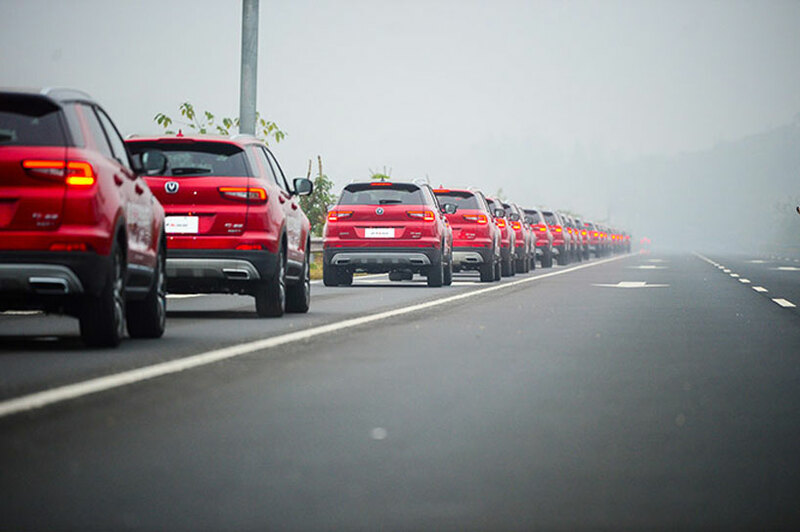 as the world’s first brand to break this record, we will make more efforts in the field of intelligence,’ added tan benhong, changan automobile’s executive vice president.